As we make our way into spring, we're going to be seeing the end of the '12-'13 performance season, and the first company to end their year will be Repertory Dance Theatre with one hell of a tribute. 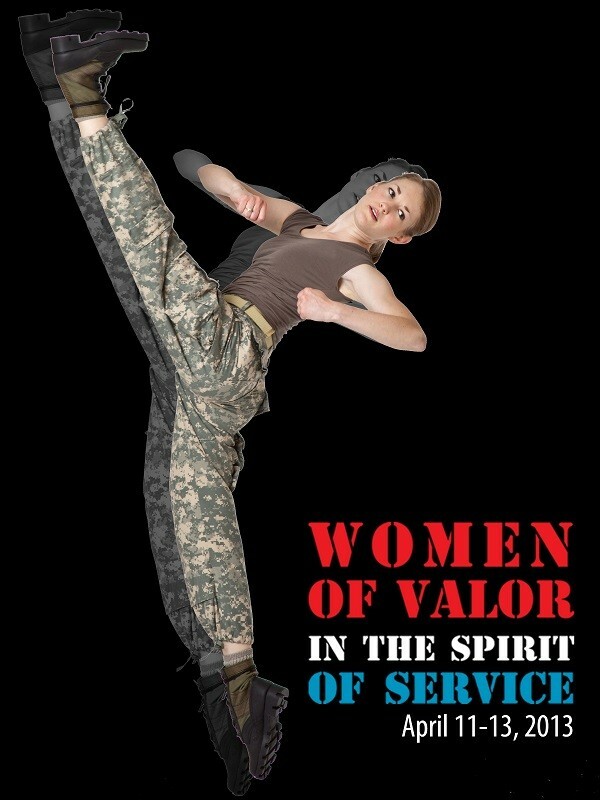 --- Women Of Valor is a military-themed performance honoring women in the military with monologues and performances to highlight their courage and sacrifice to the service. The show will also celebrate the 150th anniversary of Fort Douglas. Gavin: Hello, ladies. First thing, tell us a little bit about yourselves. 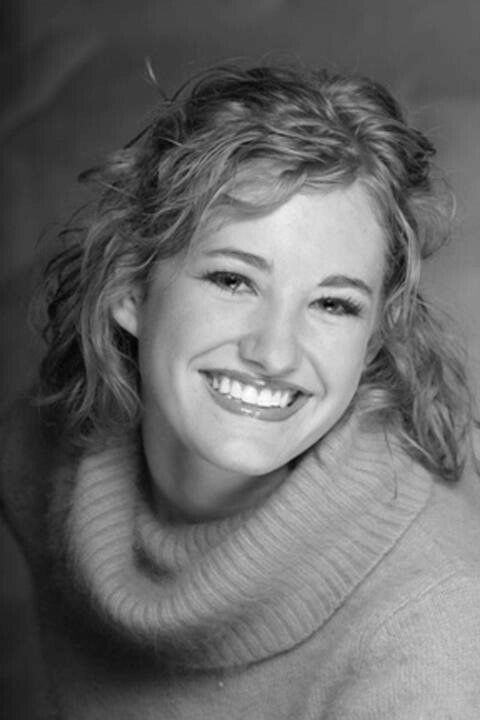 Katherine: I grew up in Salt Lake City, and received my education at The Boston Conservatory. I love to hike, and eat good food. I’m a vegetarian, dog lover and avid reader. Gavin: Starting with you, Toni -- what first got you interested in dancing, and what was it like for you performing growing up? Toni: Growing up an athlete, I've always been a very active and energetic child. I spent family functions entertaining the guests with dances or skits. My mom, Elizabeth Waters, always knew I'd be an entertainer, so when I almost broke my arm playing roller hockey at 8 years old, it was time to try out dance. I was a lover of Micheal and Janet Jackson so there were no objections there, and it stuck! I knew I loved putting on the newest play for the family, but at 8 I never thought it would be my sole career. As a child, you always think about the mysteries of the television set and how it works. How the show was created? Who made the many decisions? What does it take to create something? and Isn't it hard? When I took my first steps onto a stage, I knew I would learn all of these things, and I still am. Gavin: You received your BFA from the University of South Florida. What made you choose USF, and what was your time like in its program? Toni: The University of South Florida was my first choice in colleges. I decided early that staying close to the family was what I wanted; even Miami seemed too far. The program at USF was ideal because it was The School of Theater and Dance. A BFA in modern was my focus, but I thought maybe I would have a better chance crossing over into more of a performer in a program like this one. I spent two years soaking up some of the most gratifying technique classes from professors like Lynne Wimmer, Micheal Foley, Jeanne Travers, Gretchen Warren and John Parks. They helped me to realize that I didn't just love dancing but I craved the stage. Toni: Lynne Wimmer danced for RDT for many years, and when she heard of an opening on RDT for women she didn't immediately call me. I was a sophomore in the program and had "so much potential" but I needed a break from school/academia. It's the middle of the summer of '07 and RDT is having second callbacks for women. I then received a call from Lynne and another from Linda Smith. The company had seen video of my dancing and invited me to Salt Lake City for the women's callbacks. I played the acclimating game on Friday, auditioned for the company Saturday, signed a contract Sunday over brunch, and in two weeks was moved out of Tampa and into Linda Smith's "princess room." I was 20 years old with a pillow and a luggage bag to my name. I count my blessings everyday; there isn't a job quite like RDT out there. Gavin: Beyond RDT, you perform with other companies such as Dark Horse and My Turkey Sandwich. How is it for you performing around the state and essentially making a career out of performing? Toni: With never having formal theater training, it is a little scary putting yourself out there for some of these local companies. I know that I'm a dancer but can I be as successful in theater. In dance, we take in so many different characters in the form of technique; in theater, I take those characters and vocalize them. In Park City, I speak the theater tongue, and in SLC, I speak the dancer's. I feel being a performer has helped me to explore myself in many different ways, and my audiences have been exposed to the many different me's. I enjoy speaking those languages, especially when we can put them all on one stage together, like we've done here with Women Of Valor. Gavin: Katherine, last time we spoke you were performing in Passage last season. How was that performance for you? Katherine: Oh, wow, that seems so far away. Passage was a fun show to be a part of, especially since I was just starting to learn the RDT ropes. Gavin: How have things been for you since we last chatted, and what have you worked on since? 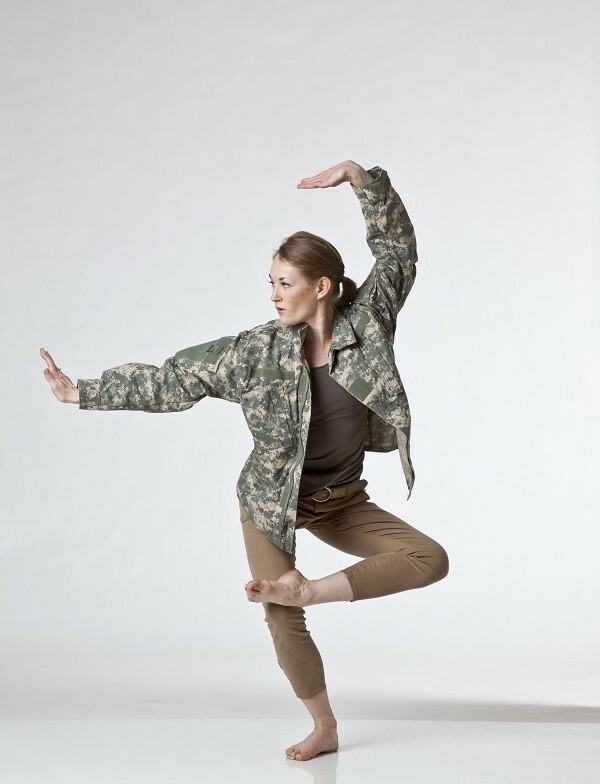 Katherine: I have continued to work for RDT, I teach ballet at SLCC and teach at local studios when I can. I have also been working with the refugee community. It has been extremely rewarding seeing them grow and learn the art of dance. We recently had a performance for the Women In Psychology convention last month. For more information about this program, check out our blog. Gavin: When did the two of you learn about Women Of Valor, and what were your impressions of the show? Toni: Women Of Valor was first proposed to the company by Lynne Wimmer and Dan Hudson about a year ago. We wanted to build a show that helped build a memorial, honored our veterans and brought light to the many women of the war. I think it is important to recognize all who have served and to share their many stories. Dance is a great way to speak to the masses and to bring them together. Katherine: We have known about Women Of Valor for a year now. However, we have only been working on putting the concert up for the past several weeks. I was excited to be a part of the concert and have enjoyed the physicality of the concert. Gavin: How has it been for the two of you working into these performances and bringing them to life? Katherine: It has been a wonderful and exhausting process. I think it is safe to say that the company is all very proud of this concert. We have all worked hard, and really bonded together to bring Women Of Valor to life. Toni: Each dance calls on a different aspect of you. We've been asked to find our own individual in the pieces. It seems obvious that we are soldiers or family of soldiers but they are people, too. Finding my unique story is more apparent in some pieces than in others. In my solo, I play a mechanic; she talks about how big everything is around her, but she's tough and she can handle it. But in "Common Place" and "When Summoned," I am the waiting, grieving and hopeful. These are all very physically challenging pieces along with deep emotions that can be physically exhausting, as well. Preparing the body for such a deep investigation took me all year long. Gavin: Considering all of these pieces come from various choreographers with different backgrounds and styles, what kind of a challenge is it for you both to mix them together and perform them? Toni: We all wish we can perform 100% flawless, but that's impractical. This show is about finding the real. It is a constant challenge for dancers in a repertory company, such as RDT, to distinguish the different forms/techniques of modern dance. Before stepping onto the stage space, it's important to center yourself and to call on your training. We spend all year taking technique classes from these guest choreographers and artists to really tap into the technique style and ideas wrapped around each individual dance. Those classes are what you tap into during that quick change offstage. Katherine: I like to think of it as someone who knows several different languages and uses them frequently. Each dance has such a different emotion, weight, quality,and technique. After performing a dance with one quality, it is our job to come offstage and prepare our bodies both mentally and physically for something so different. 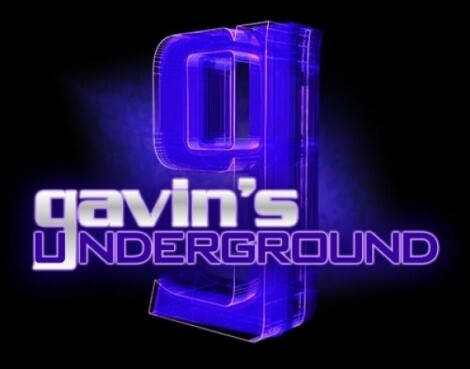 Gavin: Of the performances being showcased, which one is your personal favorite and why? Katherine: There are two pieces that are very different but compete for my favorite. Abby Fiat’s "Gold Star Mothers" is an emotionally driven piece that has so much meaning and depth; it is an emotional journey to perform her piece. Physically, Shapiro and Smith's "Bolero" is a blast to perform. It is athletic, powerful and will have you standing on your feet cheering at the end of the show. Both are wonderful pieces that I feel blessed to perform. Toni: It is hard to pick a favorite piece, as they all require such unique strengths. 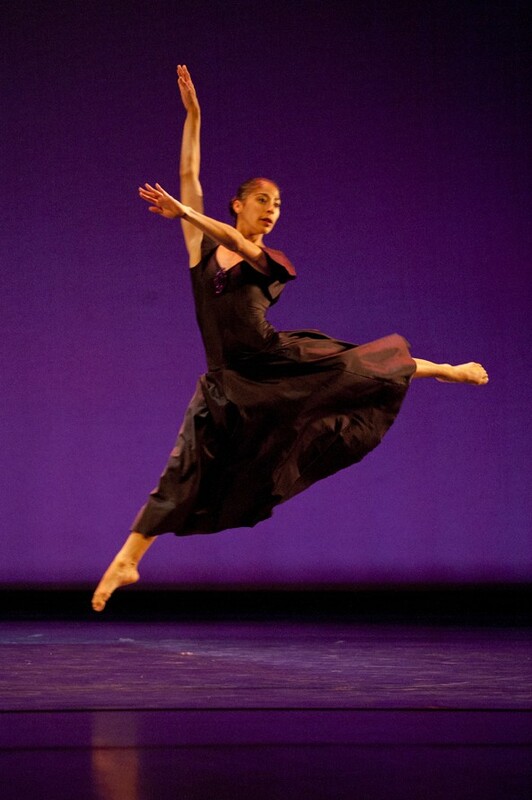 I love, enjoy and respect each dance for pushing me to explore those weaknesses in me and to make them my strengths. Gavin: What are your personal thoughts on the service women have provided to the military and their continuing struggles for equality in all branches of service? Toni: I think women have already proven that we are a strong people. Whether we choose to be a teacher, an entertainer, a mother, an engineer, a solider or all of the above, we are an equal. Being a women is not a disadvantage, just a gender. Katherine: I am grateful for all those who have chosen to serve our countr, and defend my freedoms, both men and women alike. I am grateful for the progress that has been made concerning women’s equality and hope that all fields, not just in the military, will continue to move in the directions of greater pay and work equality. Gavin: What do you think about the messages and respect this show has for women in the military? Katherine: There is a real sense of respect for women in all capacities in this show. Yes, we honor women in the military, but it is also for the nurses, mechanics and mothers who make such a difference in our lives. There is a real spirit of community, hope and respect in this concert. Toni: Much like the many who have served, this show is physical. It shows strength and it shows weakness -- all things that live in all people. I think the message is strong and clear: We need to recognize those courages and know that there are many different ways to help the cause. Gavin: What are your thoughts going into opening night and about the entire performance itself? Toni: It has been a struggle. This show has asked a lot of me and my fellow dancers. For the love of the message and the love of the dance, we conquered those fears and joined together as a community to really make this show a reality. I dance this week in hope to honor us all as a people. Katherine: Getting enough sleep, eating right and being fully present in each rehearsal are the most important things for me right now. This is a physically demanding show. As I prepare for opening night, I am working on conserving my energy so I have enough for when we open on Thursday evening. Gavin: What can we expect from both of you over the rest of the year? Katherine: You can expect a lot of hard work, passion and commitment to movement.